The title of the first Facing History course I took was “Genocide and Crimes Against Humanity.” But we just called it “Genocide”—such a loaded word, so brutal, so damning…and definitely not a word anyone likes to speak in polite company. It’s the kind of word that lies dormant in dusty history books, mentioned apathetically in research studies, and casually spoken of in a 30 second news segment before a disgruntled viewer changes the channel. As a student, I knew what it meant and had read memoirs of the horrific events such as the Holocaust or the Rwandan genocide in my own time, but the topic was always glossed over in class. Those previous classes gave us bare numbers, casualties, political reasons, victories and defeats, but it was Facing History that gave a face to those numbers, reminded us that yes, it was humans—normal people— who committed these massacres, and no it was not an unavoidable event of history or an unprecedented occurrence, but willful crimes that came from, and still reside in the darkest recesses of so called civilized humanity. When we, a class of teenagers, were taught this, we experienced second hand the emotions of horror, grief, and fear, but we didn’t stay in shock for long before asking why. Why had no one told us this? Why didn’t more people speak of it? How could crimes like this be committed on masses, and yet the world still quietly forgot? I remember there being indignation, confusion, and a desire for a change—a desire to unveil layer by layer all those messy whys and hows and force the world to face the bare truths. I remember opening my eyes to see the same patterns of bigotry, prejudice, racism and the blistering hatred from the past that barely managing to disguise itself in our present society. So while others today, might still be wary or dismissive of these half forgotten stories, I think that it is more important than ever to teach this generation that ignorance is no longer an excuse, that before children can grow into adults ready to change the world they need to first realize what it means to be human, to recognize models of responsible citizenship and feel the weight of their decisions—to understand, and think, and act, in a way that benefits society rather than harm it. 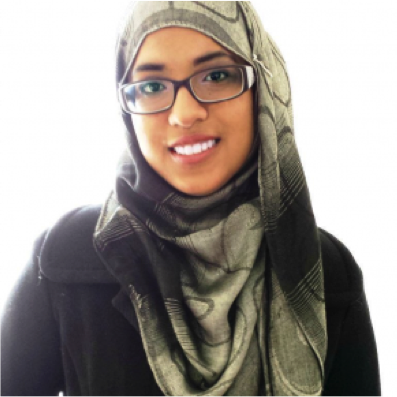 Shireen is in her 3rd year of a joint degree in English and Biology at York University. Shireen took a Facing History and Ourselves course, Genocide and Crimes Against Humanity when she was in Grade 11. That year, she won an international student writing contest, sponsored by Facing History and Ourselves. She was also awarded the first Student Upstander Award.